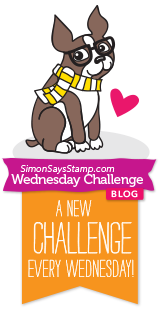 We have a fun new challenge over at the Simon Says Stamp Wednesday Challenge blog! This week we are making it SPARKLE! Because... GLITTER! Okay, so you don't HAVE to use glitter, but you do need to make your project sparkle in SOME way and as far as I can tell, there is pretty much no reason to NOT use glitter. I mean, really, folks. It's glitter. LOVE! Anyway, the design team is featuring Neat and Tangled and Jane's Doodles stamps this week. You don't have to use them, but if you have them we would love to see you rock 'em! Soooo... remember that part where you were saying how much you hated glitter because of the mess? (Okay, so I totally know only a few of you were saying that, but run with me on this one, K? K. Thanks. I appreciate your support. I really do.) Welllll.... it just so happens that this beauty is done with precisely ZERO loose glitter and precisely LOTS of sparkly goodness! Glitter paper, folks. That's right, my friends, glitter paper. Specifically, an absolutely GORGEOUS new die from Spellbinders called Foxy cut from DCWV Glitzy Glitter paper. Why, yes, yes, folks, I am in love. Thanks for noticing my glow. I stamped the Simon Says Stamp Wide Stripe background in Insulation Pink for a pretty accent behind the focal point. It makes me happy. Now it's YOUR turn! Be sure to link up you NEW creation for a chance to win a $50 Gift Voucher to the Simon Says Stamp Store! Woot! Woot! You can find links to the products I used on my card below. Such a beautiful card Jennifer!! Love that image and all of the gold! Wow, gorgeous card! And I couldn't believe it was a die cut from glitter paper! That's genius! Adorable!!!! 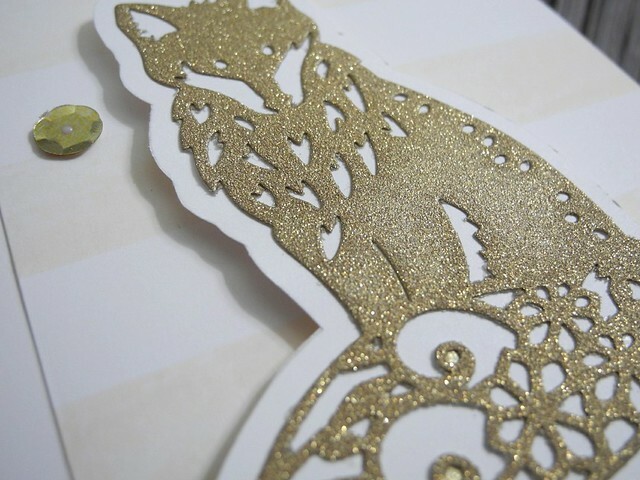 A gold glittery fox - yes please! And no glitter rub off? Duuuuude - you sweet talker you! ;) this is just brilliant! I love everything about it! What a fun design, Jennifer! Everything works together so nicely! Such a cool card! Love that fun card! hi Jingle! 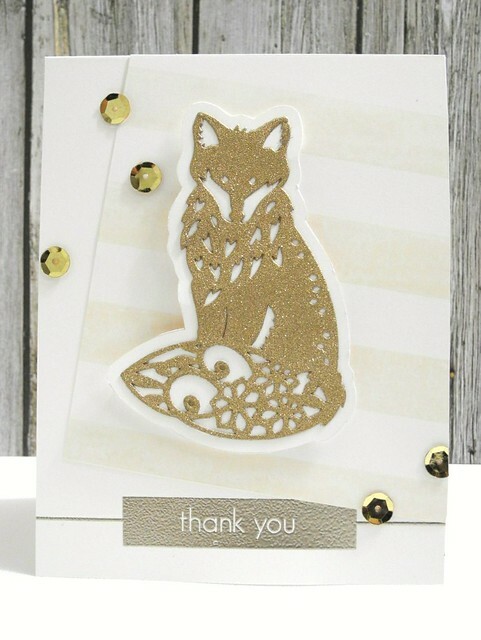 luv the glittery sly fox....great design girl! hope you have a fabby weekend!